I’m loving these gorgeous gold foil prints by Luciana to death, it’s hard to say which one is my favorite because I love them all and for $12 a piece they are not only glamourous but affordable too! 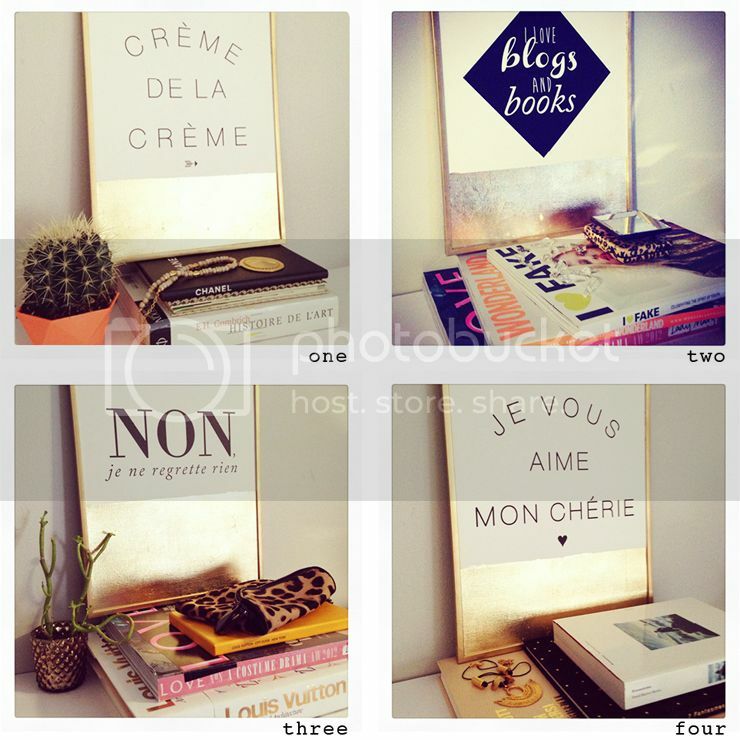 These little gold infusing prints are just perfect for home decor! They’re really cute and so affordable! I love blogs and books… so true, so maybe it’s my favorite one. A nice extra touch and a great price too. Fun! LOve it!! I want one in my room! I love to frame inspiring posters and prints! Sorry I react because the fourth print “je vous aime mon chérie” is not good. “mon chérie” will said for a girl (i think) and the word “mon” is only for boy. If its for a girl the real print is “Je vous aime ma chérie”, but you can’t say “je vous aime mon chérie” for a boy…. To understand (bad english, i know ^^) are you saying “i love you my girl” for a boy ?… and why say “vous”, me I say “tu” and not You (polite form) to my boyfirend ? no ? LOVE! !The “I love blogs and books” one is adorable!